Versitile Heat Shrink Wrap Used For So Many Projects! GPS Heat Shrink Wrap film is used for many purposes, including wrapping of Yachts, Boats, Bridges, Agricultural Equipment/Protection/Storage,US Navy Ships, Scaffolding, Shipping covers for pallets, medical supply packaging, food packaging, plus covering and packaging for 10's of thousands of items! 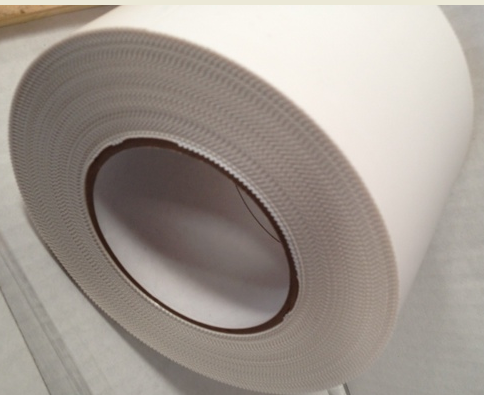 GPS Heat Shrink Reinforced VCI/UV is a 3 ply reinforced clear laminate that is heat shrinkable. 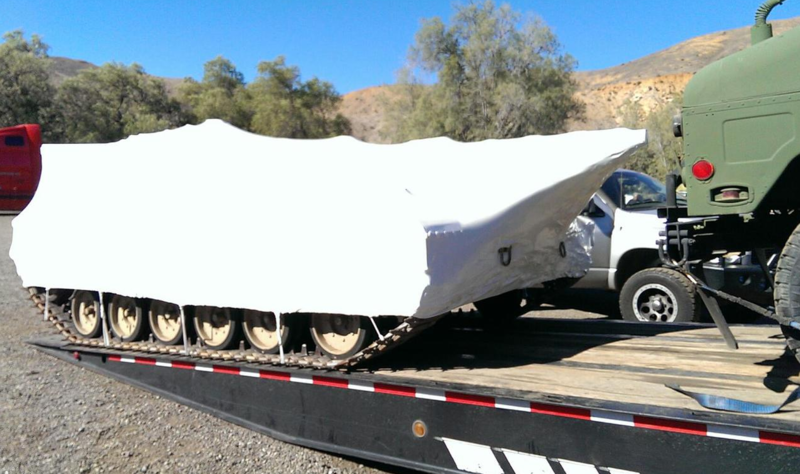 Best of all, it had anti-corrosive properties and UV stabilization. A high strength cord provides uniform loading resistance to tearing in all directions.There are at least 50 strands per square foot. The inner layer is impregnated with a volatile corrosive inhibitor which protects both coated and uncoated ferrous metal surfaces. 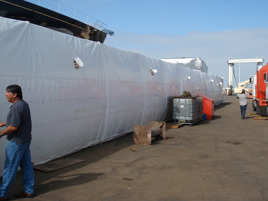 Both inner and outer layers are UV stabilized. Heat Shrink Reinforced offers a high strength, very durable cover in a lightweight material. For Goss Heat Shrink Wrap Torch, please click here. Custom fabrication is available to meet your specs. Just give us a call. Fast Installation- customers claim they can install in less than ½ the time of former materials used. Most strapping used in conjunction with Heat Shrink Wrap in the market today has a break strength of 1100 pounds, Safety Strapping has 2950 pounds, and is usually lower in cost. Compare the difference, you will be amazed at the uses for this substantially stronger strapping. Global Plastic Sheeting is one of the Nation's largest providers of Heat Shrink Tape, stocked in 2" and 4" widths. Click here for details. Compare our prices and quality. Support the USA!!! All of these products are 100% MADE in the USA. Perhaps never in our history has this been more important to all of us. Please think about this when making purchasing decisions, we cannot keep letting the profits from our purchases keep leaving our country if we are to remain prosperous. "About that 12 mil shink wrap..."!